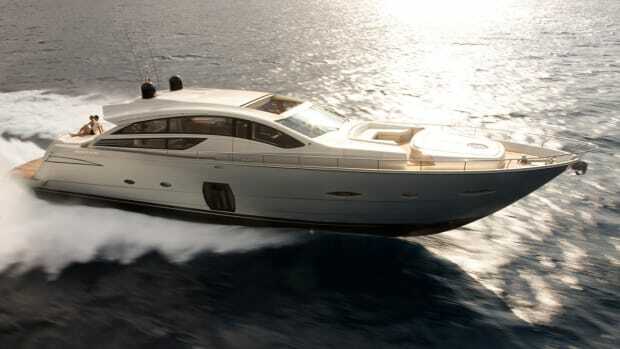 The muscular Pershing 82 hits its target with verve and style. My favorite science fiction writer is Robert Sheckley. He was always a bit of a cult figure, but his stories are wise, witty, intriguing, surreal and often hilarious. One of my favorite Sheckley stories concerns a young man in Manhattan who is being stalked by an invisible thrang. His psychic protector, a validusian derg, just has time to shout a warning before it succumbs to the jaws of the intruder: “Don’t lesnerize!” Of course, the young man has no idea what “lesnerize” means, just that to do so will be fatal. I was reminded of that tale aboard the Pershing 82. 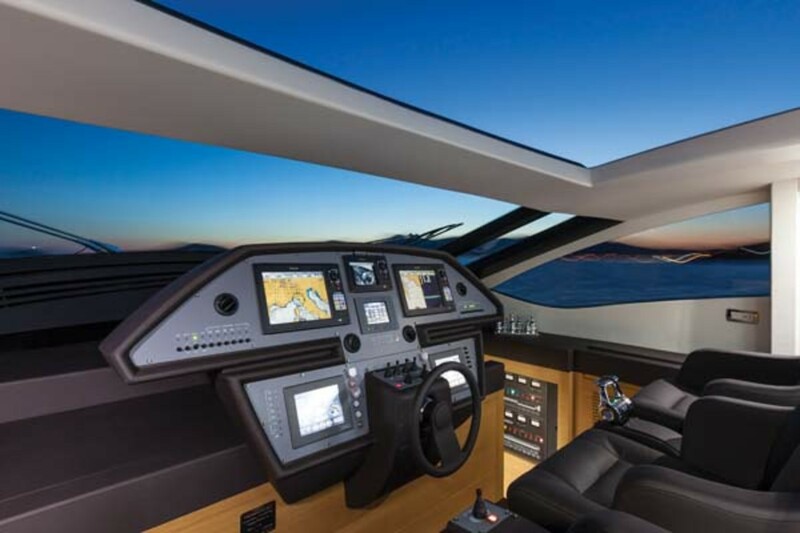 I sat down in the yacht’s center helm seat. I noted the excellent visibility and took in the layout of the controls: paired nav screens on either side of the closed-circuit monitor, engine screens down by the wheel, and trim controls and their attendant display right there, front and center. With those priorities in evidence, clearly I was aboard a high-performance machine. Then there are the throttles. They’re not mounted on the console, but right by the seat, under your right hand. The wheel occupies an inconvenient position—effectively out of reach unless you’re standing. But forget about that, because there on the left, at your fingertips, is the joystick. It’s only about 4 inches long. Let’s be clear: This is 60 tons of high-energy missile, with 4,870 horsepower packed into the stern, hooked up to ZF SeaRex surface drives. In a straight line, this oceangoing ICBM is capable of more than 46 knots. To make it turn corners, you waggle the little stick. Just make sure you don’t lesnerize as you do so. 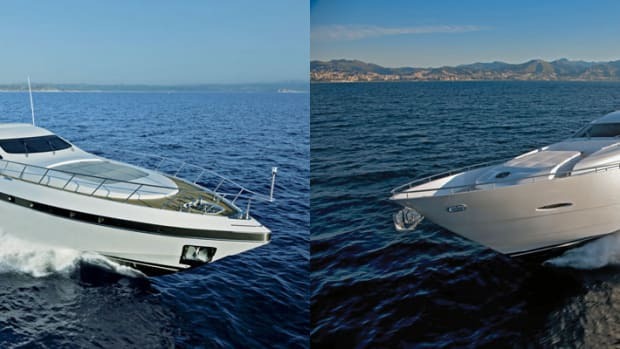 A replacement for the Pershing 80, the new 82 offers various improvements over its predecessor, including an excellent sundeck where an optional upper helm station folds away when not in use. 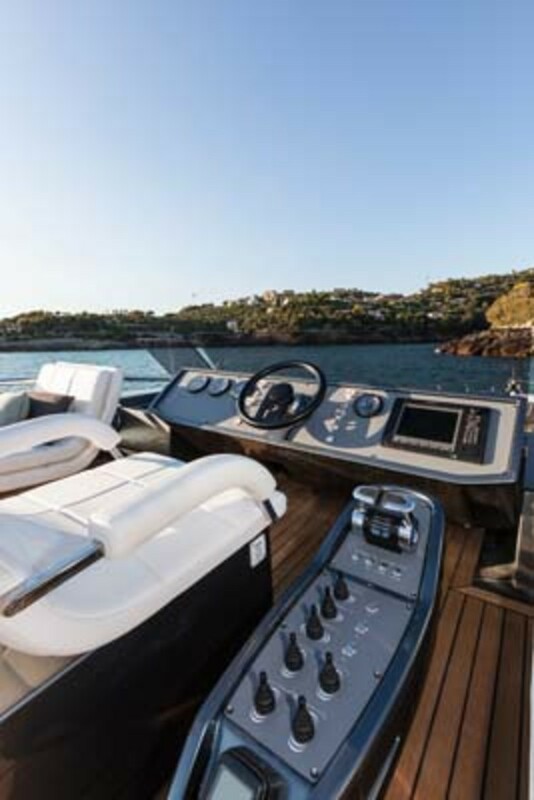 You access the deck from a smart set of carbon fiber steps that drop down out of the deckhead. 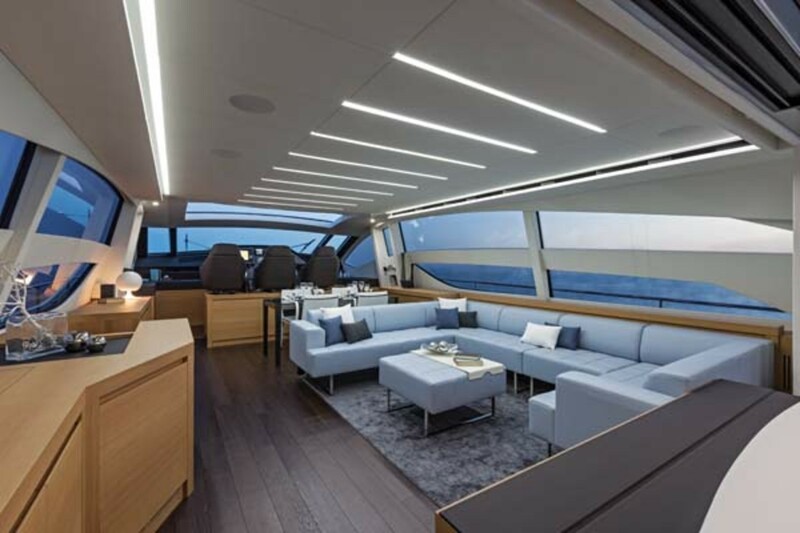 With the galley down in the crew area and low-level furnishings throughout the main deck, the salon is surrounded on all sides by glass. 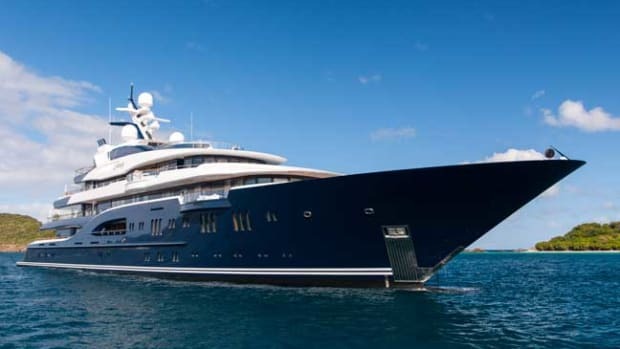 When the sunroof opens up and the cockpit doors slide down and away, the entire main deck becomes one huge living room, with an extending glass-and-steel dining table forward, a silver-lacquered cockpit table aft, and between them an enormous and luxuriously upholstered leather sofa. 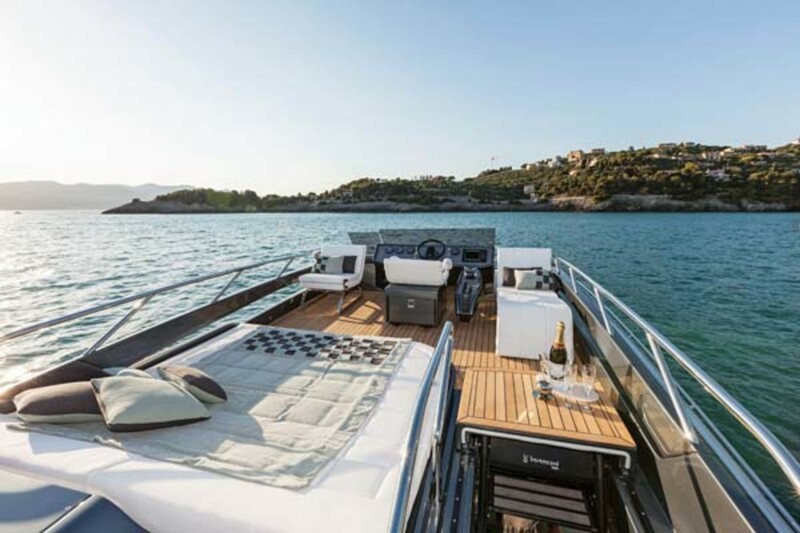 The 82’s deck salon, its low-height furnishings ensuring great views all around. The galley is down below. 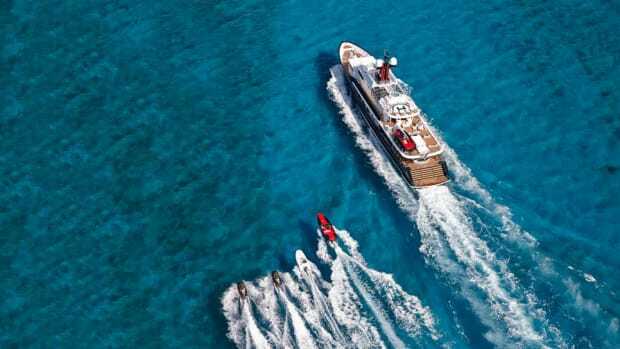 Down below, a four-cabin, three-head layout is standard, but you can have just three cabins if you prefer, with a cozy TV lounge on the starboard side. 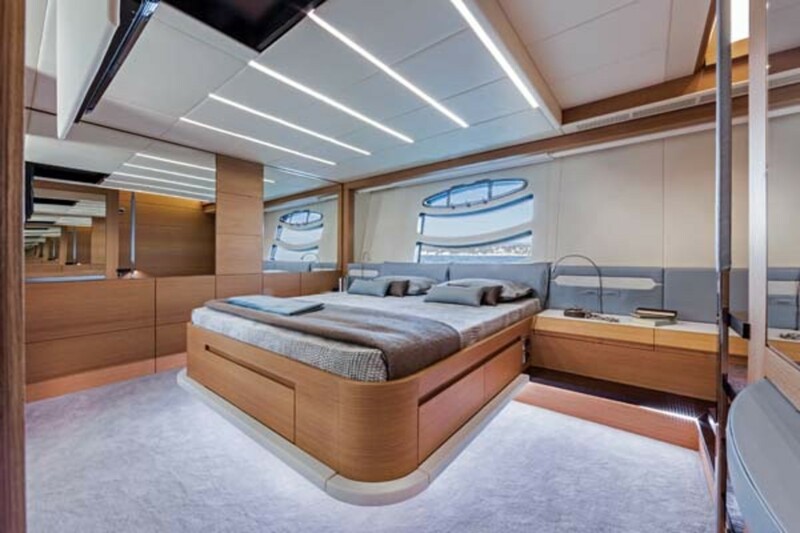 In either case, the master suite is amidships, spacious and beautifully designed. 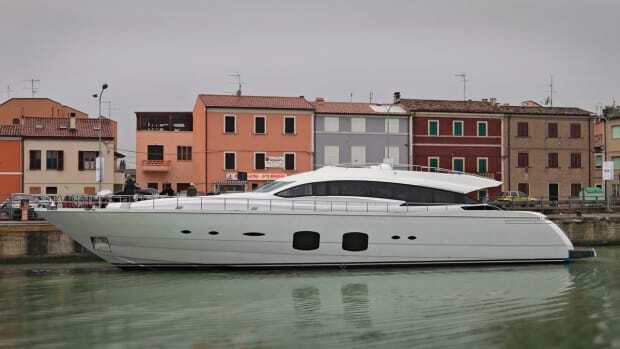 The master suite occupies the full beam, with big hull windows and excellent stowage volume. A television drops down from the deckhead. 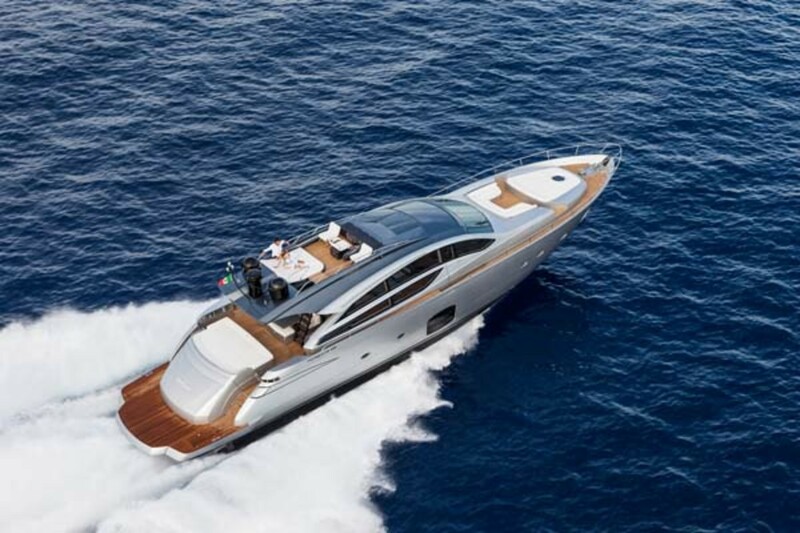 Pale teak joinery and contrasting, dark-stained oak floors give the 82 a modern but quietly restful interior, which is something of a Pershing hallmark. The quality of the fit-out is exemplary. The engineering in the machinery space is equally impressive. Although cramped by the intrusion of the tender garage, there is good low-level access between the engines and full standing headroom in front. 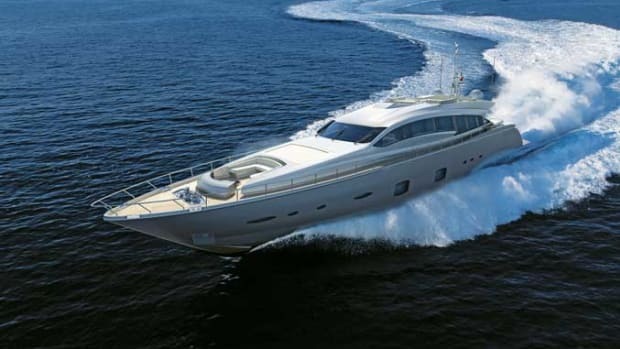 Like most of her stablemates, the Pershing 82 proved herself to be a phenomenal driver’s machine. We clocked her on a two-way run at 46.5 knots, and acceleration was extraordinary. Such is the angle of heel that the best way to see where you’re going in a hard turn is through the sunroof. 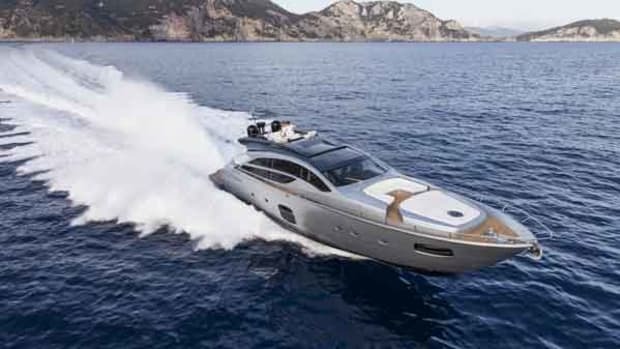 The electronic throttles were beautifully light and translated torque into instant, effortless motion, while in a light chop over a long swell, the hull felt reassuringly solid—as you might expect from balsa-cored e-glass laminates up to 1½ inches thick. The joystick is computer controlled. 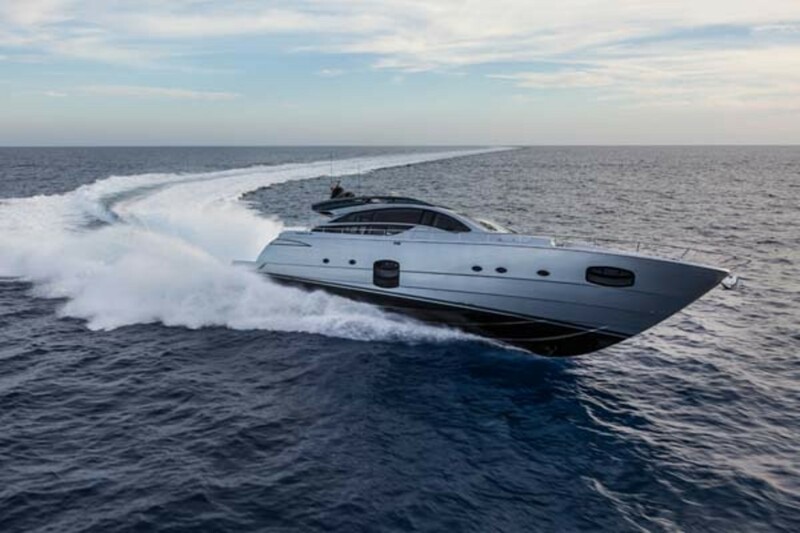 Just as raceboats have rev limiters to stop the gearboxes from exploding, the Pershing has a helm-angle limiter to prevent any heavy-handedness from having unintended consequences. And as for that little 4-inch toggle switch under your left hand: It doesn’t look like it could control a windscreen wiper, but I’m here to tell you that it’s the best way to control the Pershing 82, at any speed. The joystick is computer controlled. 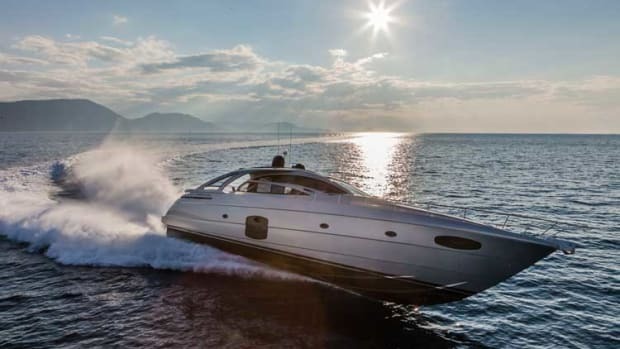 Just as raceboats have rev limiters to stop the gearboxes from exploding, the Pershing has a helm-angle limiter to prevent any heavy-handedness from having unintended consequences. With that and the automatic trim system engaged, driving this massive, muscular, deep-V missile is actually pretty straightforward. With the automatic trim system engaged, driving this massive, muscular, deep-V missile is actually pretty straightforward. Limiter or no, the 82 still handles like an F-16. 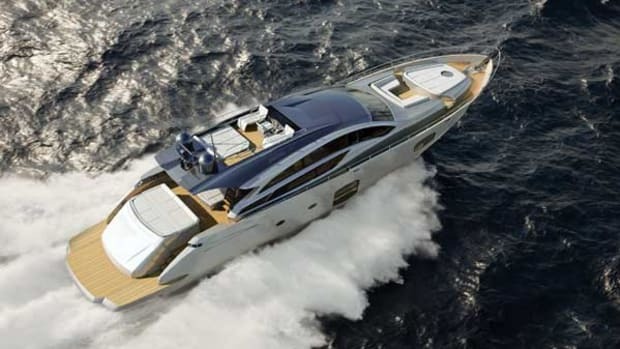 It’s a Pershing, after all. So try to make sure you don’t lesnerize. The young man in the story fretted about what it meant, but found out eventually.